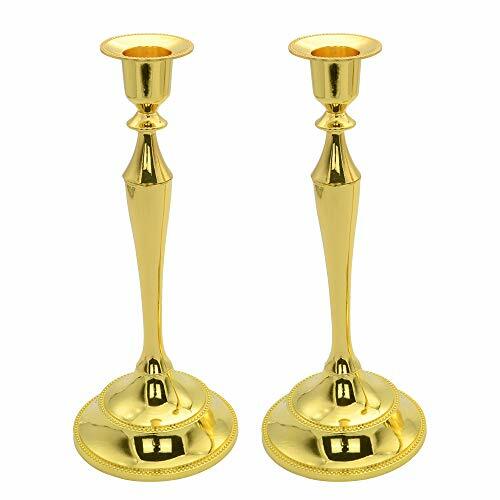 Koyal Wholesale Gold Taper Candle Holder Set of 3, Candlestick Set, Tall Candle HoldersCategory: Taper Candle StandAdd drama, and romance with Koyal Wholesale’s elegant 3-piece taper candle holder set. 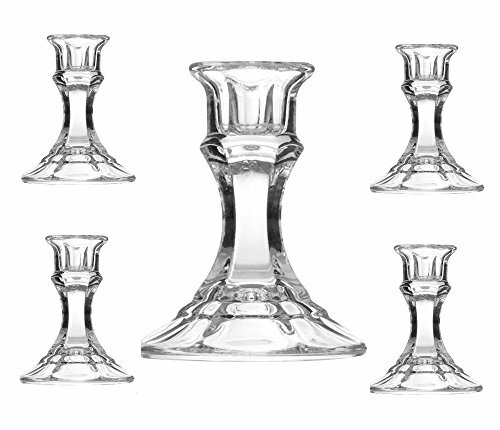 Our candlestick holder set is a classic addition to your fancy table scape. These lovely gold candle holders are splendid with marble, greenery, woodland, forest, Moroccan, modern chic wedding themes. 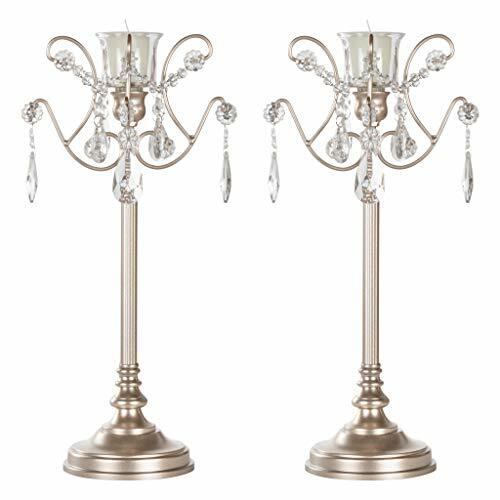 Create your romantic ambiance using our taper candle holders. Koyal Wholesale’s mission is to provide you with the world's best wedding and event supplies delivered through world class customer service. We love to hear from you. Share your creation and inspire others by submitting a review and photo of your centerpiece. 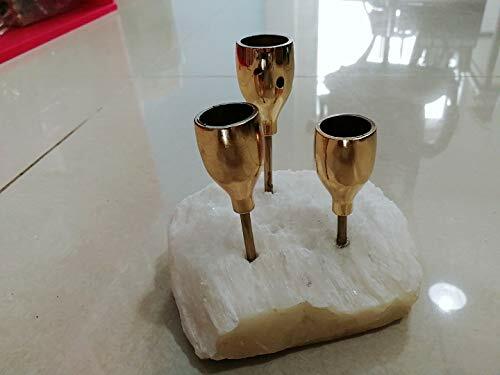 Koyal Wholesale Rose Gold Modern Taper Candle Holders, Set of 3, Contemporary Candle Sticks, Stands, Candle CenterpiecesCategory: Taper Candle StandMULTI-FUNCTIONAL. From wedding centerpieces and special events to intimate dinner parties these durable rental quality metal candle holder stands are perfect for everyday use. SIZE DIMENSIONS: Sturdy base measures 3.75 inch diameter. Includes 1 of each; 7 inch height, 8.5 inch height, 10.25 inch height. 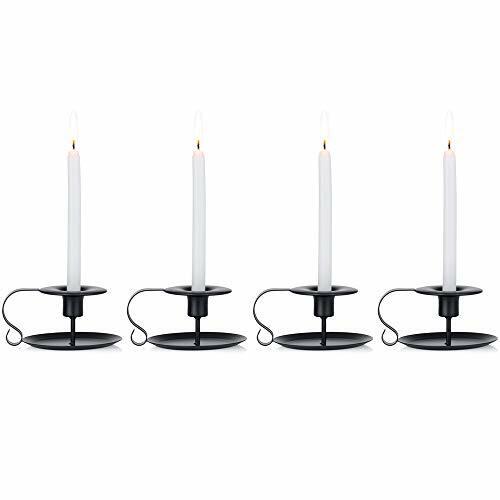 Elevate taper candles and candle sticks with these minimalist taper candle holders. SET OF 3. Our metallic candleholder sets are ready to use out of the box, no assembly required. Easy care simply wipe clean with soft cloth. Not dish washer safe. DURABLE. Made of high quality iron metal that is not easily bent or broken. 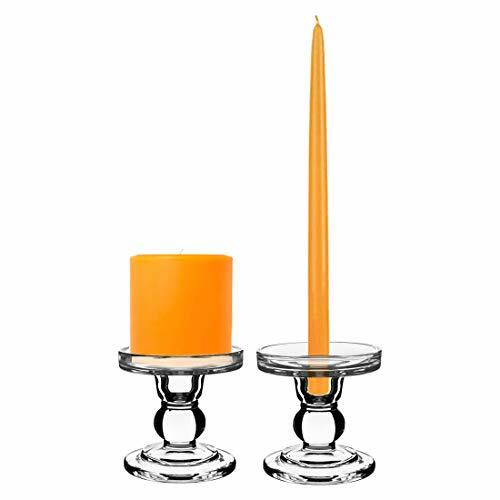 The wide base design is sturdy to safely hold candle stick. Candle adhesive recommended. DECOR IDEAS: Create a romantic ambiance by combining from our collection of contemporary metal taper candle holders, metal tea light holders, antique glass votive candle holders, candle glass holder and compote bowls. 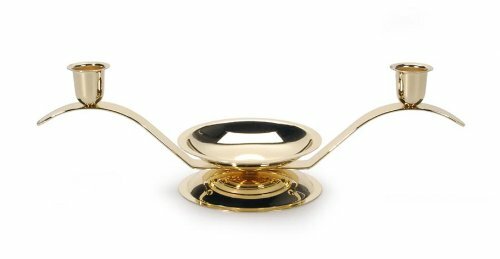 Koyal Wholesale Gold Modern Taper Candle Holders, Set of 3, Contemporary Candle Sticks, Stands, Candle CenterpiecesCategory: Taper Candle StandMULTI-FUNCTIONAL. 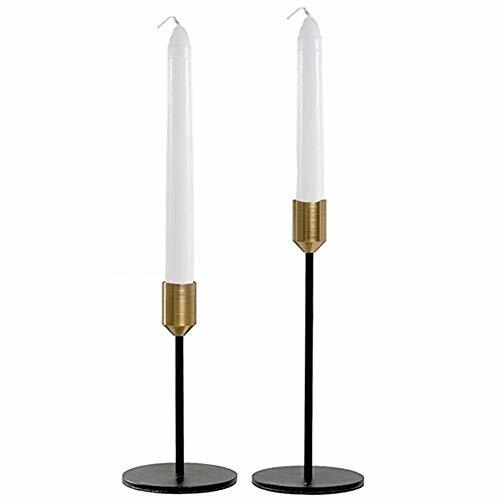 From wedding centerpieces and special events to intimate dinner parties these durable rental quality metal candle holder stands are perfect for everyday use. 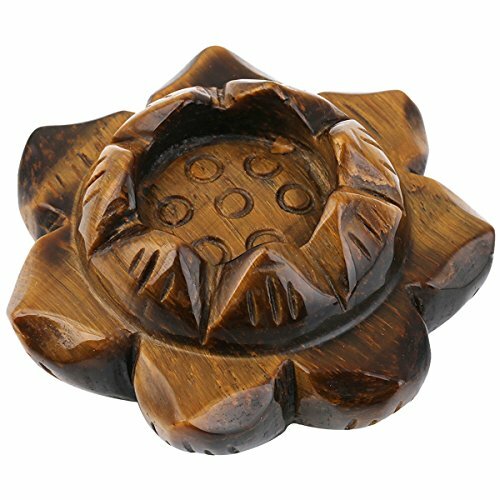 SIZE DIMENSIONS: Sturdy base measures 3.75 inch diameter. Includes 1 of each; 7 inch height, 8.5 inch height, 10.25 inch height. 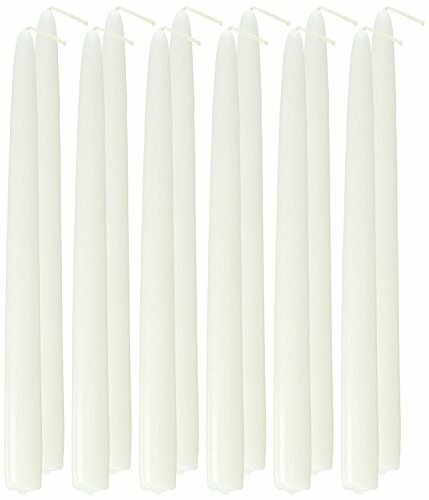 Elevate taper candles and candle sticks with these minimalist taper candle holders. SET OF 3. 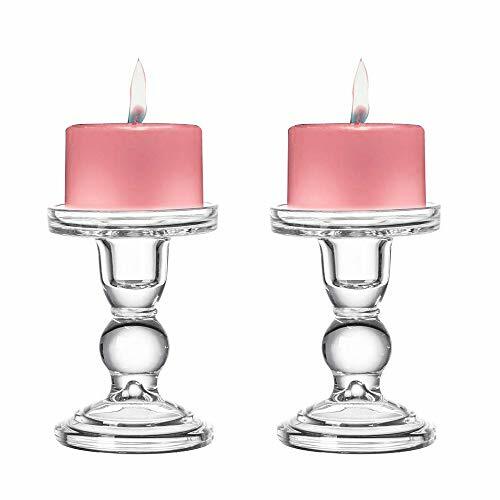 Our metallic candleholder sets are ready to use out of the box, no assembly required. Easy care simply wipe clean with soft cloth. Not dish washer safe. DURABLE. Made of high quality iron metal that is not easily bent or broken. The wide base design is sturdy to safely hold candle stick. Candle adhesive recommended. DECOR IDEAS: Create a romantic ambiance by combining from our collection of contemporary metal taper candle holders, metal tea light holders, antique glass votive candle holders, candle glass holder and compote bowls. Ymiko Retro Iron Taper Candle Holder Hand Made Candlestick Stand Home Candlelight Dinner Decor,Iron CandlestickCategory: Taper Candle StandFeatures:Made of high quality iron material with matte black finish, anti corrosion and anti rust, solid and durable to use.With a arc handle, easy to take it and won't hurt your finger.Round hole provide firm support for candles, stable and safe for your use. It can hold candle with diameter less than 2.3cm.Modern and easy design, it's easy for you to match it with all home furniture.Great for candlelight dinner, living room, thanksgiving dinner decor, etc, bring your home with more artistic taste.Specification:Condition: 100% Brand NewMaterial: IronColor: BlackHole Diameter: Approx. 2.3cm / 0.91inchWhole Size: Approx. 11.2 x 7.5cm / 4.41 x 2.95inchWeight: Approx. 131gPackage Included:1 x Candle HolderNote:Please allow slight deviation for the color and measurement. Thanks for your understanding.